I posted a few paintings on Twitter recently of the work I did in Greenwich, London. These were picked up by The Greenwich Visitor Magazine who asked to do a feature on them. Naturally I accepted. Very decent of them. 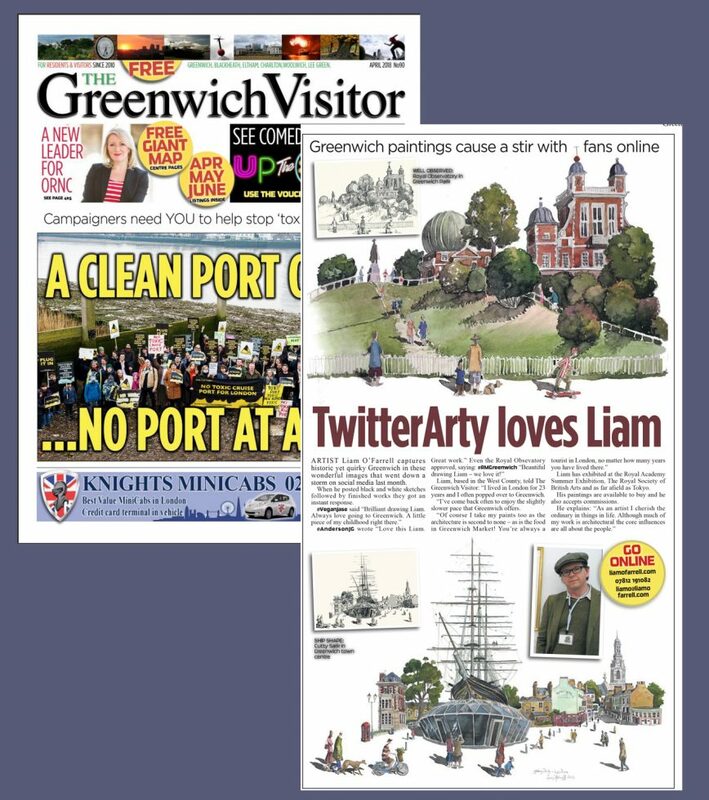 ARTIST Liam O’Farrell captures historic yet quirky Greenwich in these wonderful images that went down a storm on social media last month. When he posted black and white sketches followed by finished works they got an instant response. Liam, based in the West County, told The Greenwich Visitor: “I lived in London for 23 years and I often popped over to Greenwich. “I’ve come back often to enjoy the slightly slower pace that Greenwich offers. I love getting you newsletter and updates on your career, always looking for the ext painting I love!